Pop in and and see our friendly demonstrators showcasing the newest Trimcraft collections at your local The Range store. Our demonstrators are here to help with great hints and tips on crafting. 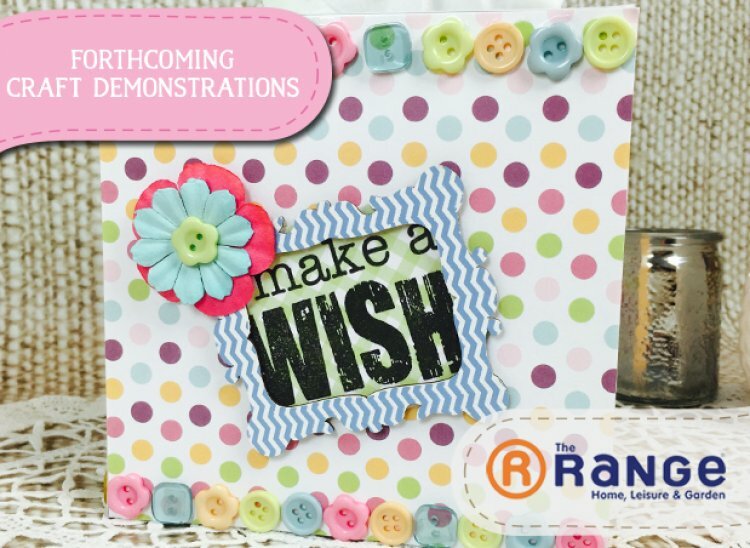 If you are struggling with crafty ideas or need a crafting question answered just ask and our demonstrators will help answer your questions and inspire your next creation. We do not have any craft demonstrations next week so we will see at our next craft demonstrations at Bridgend and Leyland on Saturday 4th July and Rochdale Sunday 5th July.